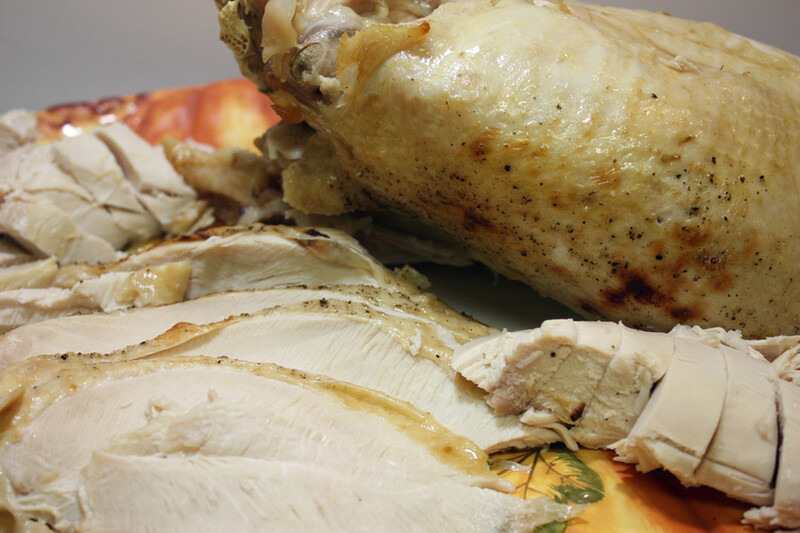 Learn how to brine a turkey breast and your Holidays will shine. 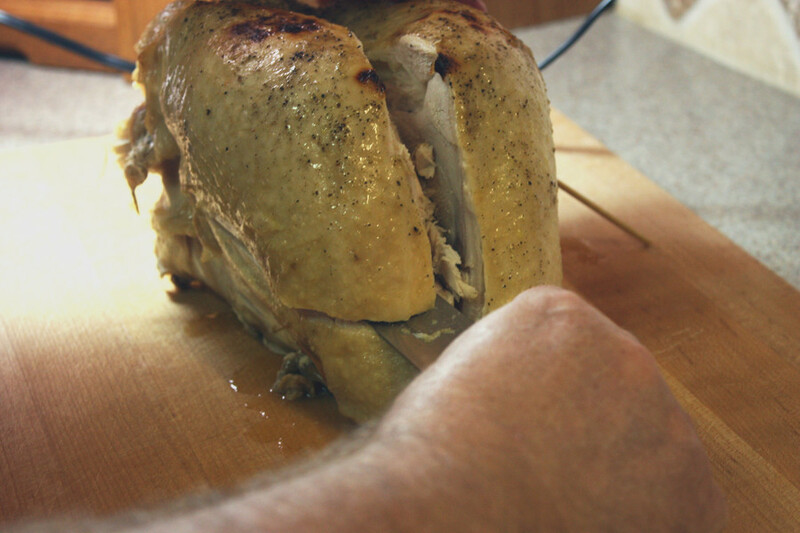 I promise if you just try this method once you will NEVER roast a turkey without it again. My brother-in-law introduced this method to us years ago and I have not roasted a turkey without doing it since that eye-opening Thanksgiving. You will not believe the difference it makes in the meat. 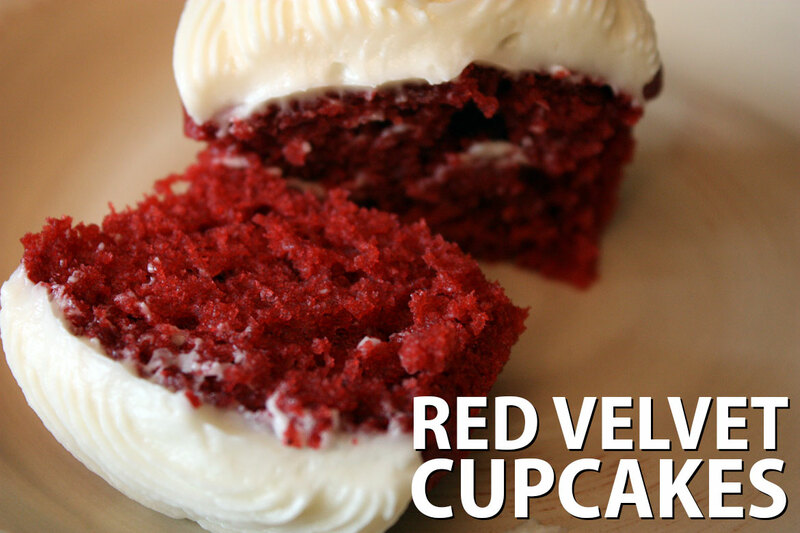 It is so tender, so moist and so flavorful your guests will talk about it for years to come. We do! By the way, a turkey breast is perfect for a small family gathering. It’s so simple too! You can mix up your flavorings any way you prefer. I chose rosemary, garlic, onion, bay leaves and peppercorns. Other options include citrus, fresh sage, thyme, etc. 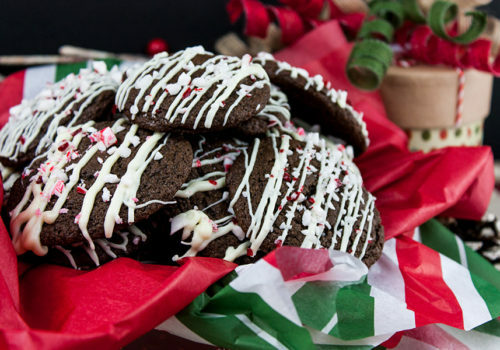 Most recipes tell you to heat the brine to dissolve the salt and sugar, then let it cool. I don’t find this necessary at all. (another tip from my brother-in-law) And really, who has time for that? 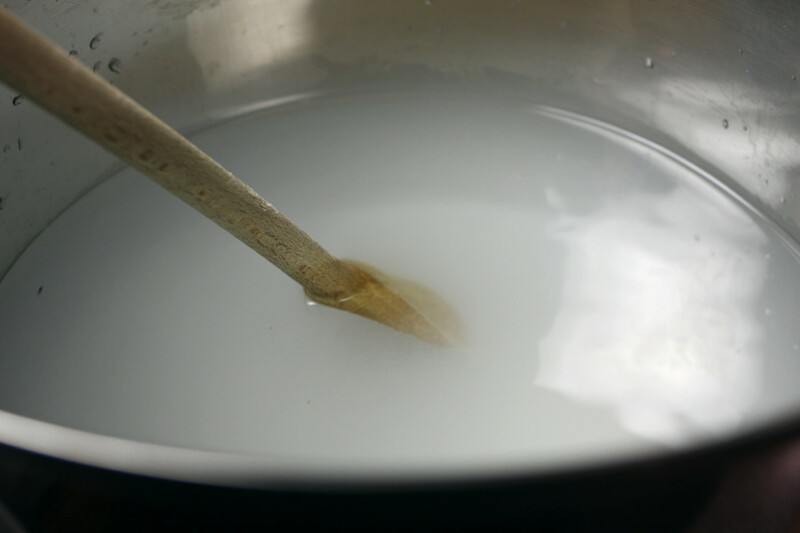 I just stir the salt and sugar in the water until it dissolves, about 1 minute. Then add all your flavorings. 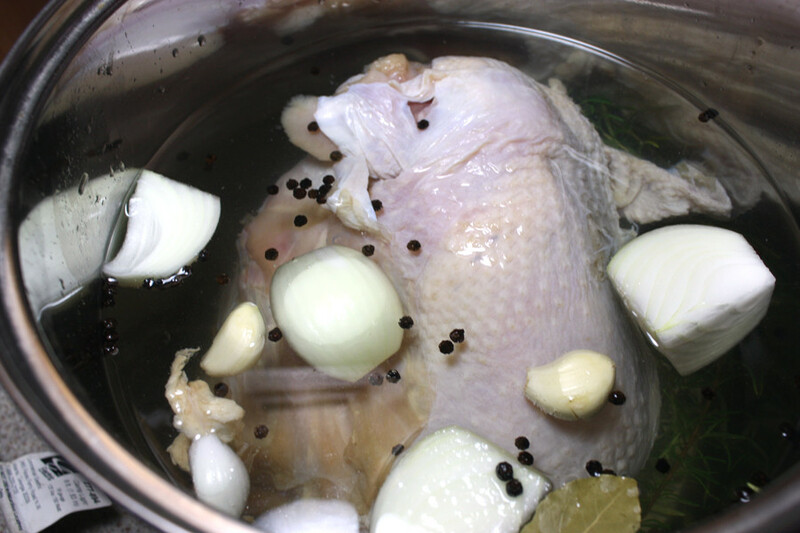 Dunk the bird in the brine and let her soak! Remove the turkey from the brine, rinse and let dry for several hours in the refrigerator. Yes, you have to plan ahead for this process. But it’s so worth the effort that you will not regret it at all. Remember, I promised earlier? Roast at 350 degrees for 20 minutes per pound. Start checking the temperature with a reliable thermometer at about 1 hour of cooking. My turkey breast was 7.5 lbs and took about an hour and 45 minutes. Let rest for 15 minutes, slice and devour. The best method of roasting a turkey breast or whole turkey. Moist, tender and so flavorful! In a large pot or bag (large enough to accommodate the turkey) stir water, sugar, and salt until dissolved. Add rosemary, garlic, onion, and peppercorns. Add the turkey, cover pot and refrigerate for 10 to 24 hours. Roast at 350 degrees for about 20 minutes per pound or until reaches an internal temperature of 165 degrees. Watch closely after one hour of cooking. If you use a bag place it in a pot or large bowl in case there is some leakage. Looks so good. My mom is making the turkey breast this year and I am sort of scared! LOL Kristy I’m sure it will be good. Thanks for stopping by! I’ve never tried brining our turkey but have always wanted to try. Thanks for sharing these great tips! The turkey looks fantastic! Thank you Kelly! Try it once and you will never roast a turkey without again. What size turkey breast did you use? 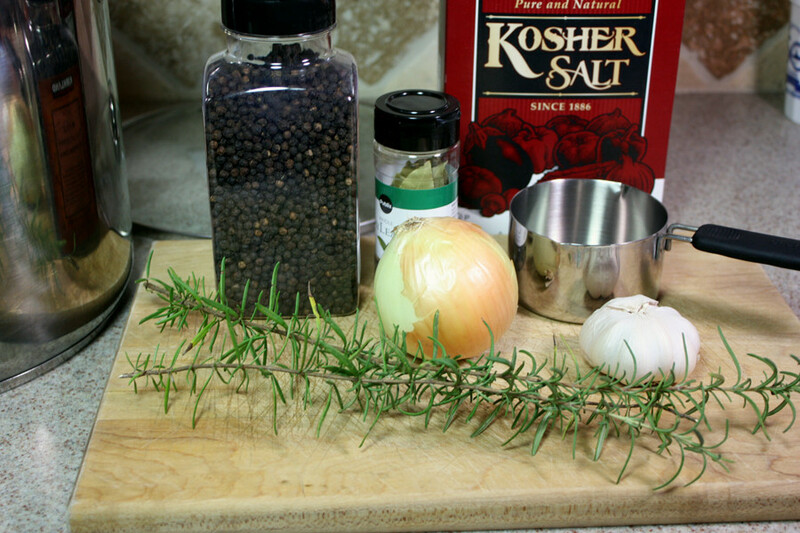 Did you use 1 cup of Kosher salt or table salt? Hi Tammy, the brine is just a method it doesn’t really matter the size of the turkey breast. And thank you for noticing I didn’t specify the type of salt. We used kosher. Sounds like a great idea! How long should you brine a 7 lb breast? Hi Karen, I would suggest about 12 hours. Thank you so much for coming by. Happy Thanksgiving! Is one day the longest you should brine your turkey? 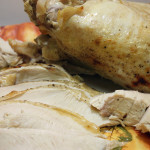 Would you suggest a wet brine or a dry brine for a previously frozen turkey breast? Hi, Zoie! We wet brined for years and loved it until we discovered dry brining. https://dontsweattherecipe.com/dry-brined-roast-turkey/ I HIGHLY recommend dry brine and don’t think we will ever wet brine again. The dry brine imparts so much more flavor and tenderness into the turkey. Thank you so much for coming by! Yours looks the easiest, going to try it this Thanksgiving. Hi, Michelle! 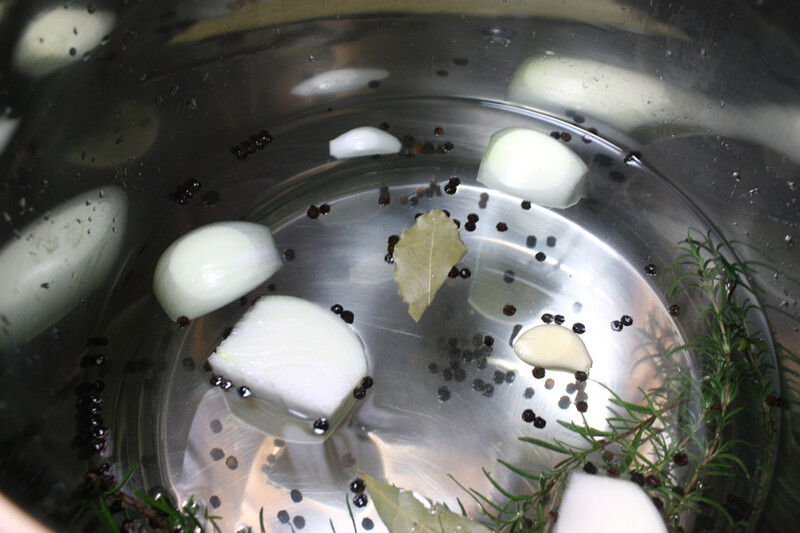 Although we loved our wet brine for many years we now do this method and have never gone back! It is even easier and less messy. Thanks so much for coming by! Do you put anything in the roasting pan like water or vegetables and do you cover the roaster? Hi, Connie. I usually don’t add anything to the pan. But you can certainly add veggies if you like. And I do not cover it. 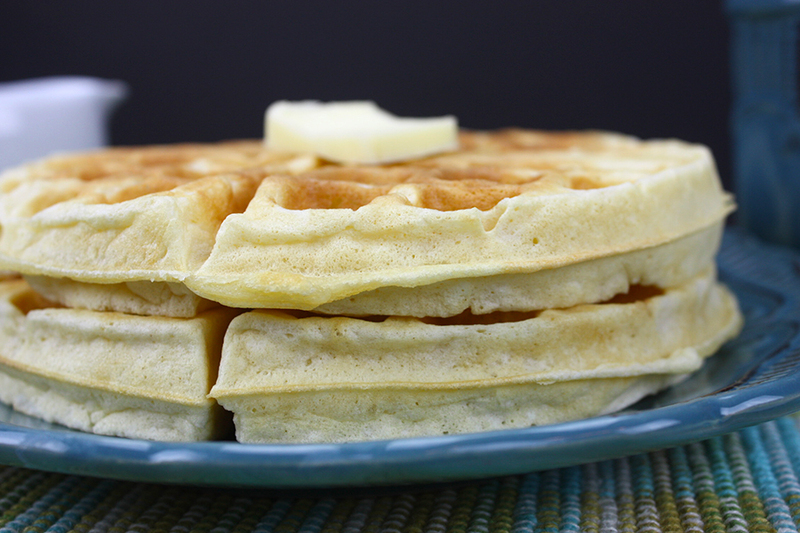 But we now ONLY use this recipe and I highly recommend you try it. 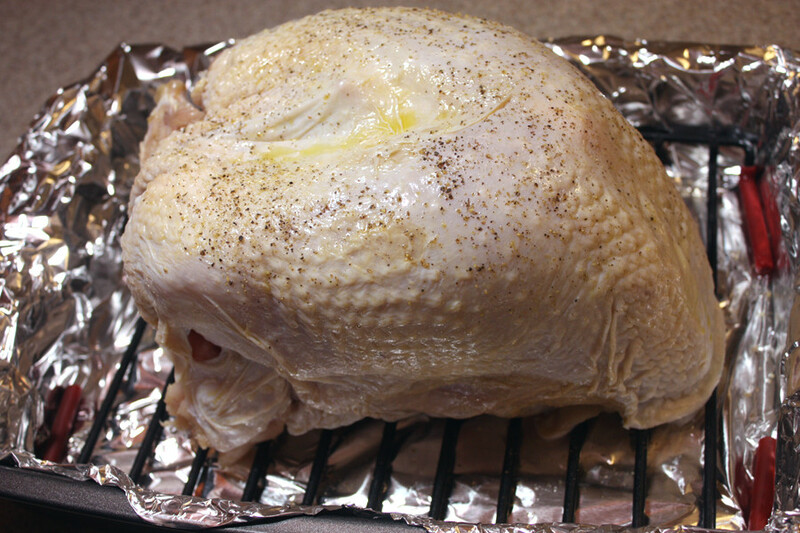 Hi Do you leave the turkey in the refrigerator coverd or uncoverd after the brine is rinced off? Hi, Nora! Uncovered so it will dry. I hope you enjoy! Happy Thanksgiving! Thanks so much happy Thanksgiving to you! Hi,I usually smoke turkey breasts for Thanksgiving and always brine but with seasonings and then a good rub.This will be my first Using your brine and am looking forward to it.We organically grow our own Rosemary and Sage along with other herbs so I’m hoping it turns out well.Happy Thanksgiving to you and yours! 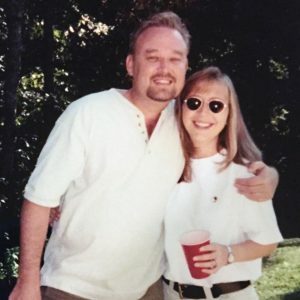 Happy Thanksgiving, Mark! We hope you enjoy the turkey.